Six first-class, self-stick stamps. This stamp book is the perfect size for day-to-day use. 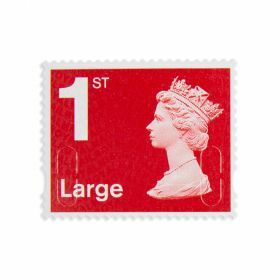 Our first-class stamps have been a part of UK life since 1840. Though the design has changed, our commitment to delivering your letters and parcels on time is the same today. When you post an item 1st Class to anywhere in the UK, we aim to make sure it arrives within three working days. 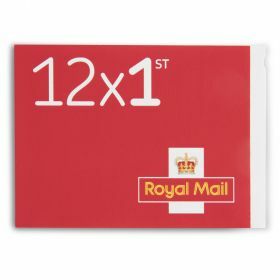 These stamps are for items up to: 240mm long, 165mm wide, 5mm thick and 100g in weight.